Forget everything you think you know about wine tours; the happy-go-lucky team at Wine Flies has thrown out the rule book. 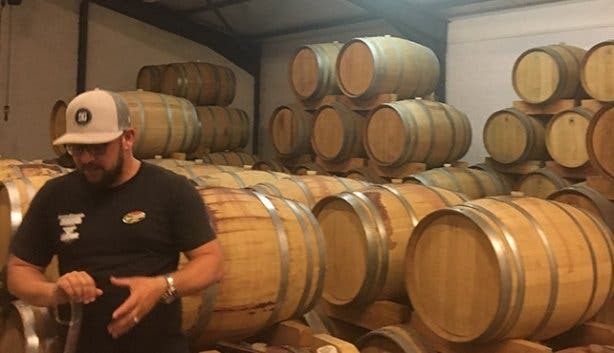 Playfully calling themselves wine lords, Francois van Binsbergen and the team behind this boutique tour company uncover unique destinations and help create memories in the Cape Winelands – from Stellenbosch to Franschhoek – and they have a lot of fun while doing it. “Wine flies when you’re having fun,” is the company’s ethos carried through each one of their entertaining and informative tour packages. The scheduled tours have you visiting five wine estates around the Stellenbosch wine region. Wine lovers can customise private tours if they want to explore wine farms other than those in partnership with Wine Flies. 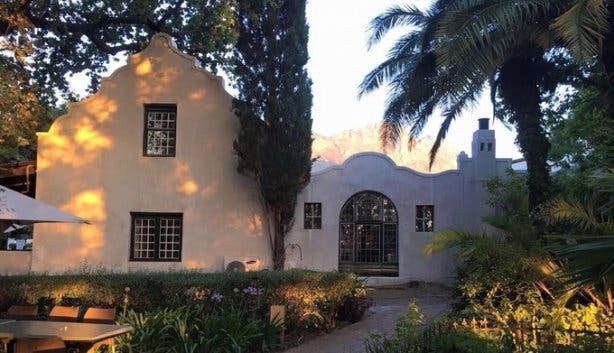 Go off the beaten track and enjoy Matjiesfontein through wine with The Forgotten Route. Go along the Grabouw Valley and into Hermanus to enjoy the three W’s this region is famous for with the Whale, Wine and Wors tour. During the new Stellenbosch wine tour, you will get to visit five estates in the region and a guided drive through the town itself. 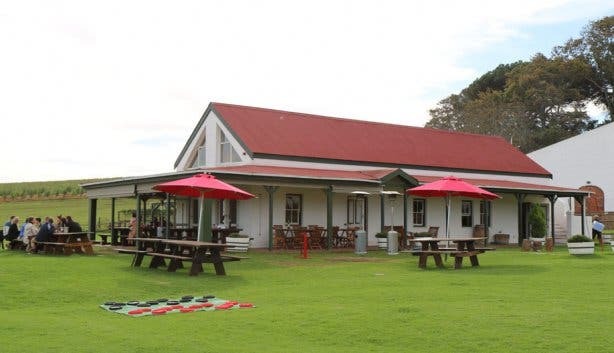 All farms on this route are meticulously chosen so that you will get to experience a broad spectrum of iconic estates, as well as smaller family-run farms. It's a real authentic experience. Read more about Wine Flies' scheduled tours. Do you want to know how it feels to be truly South African? 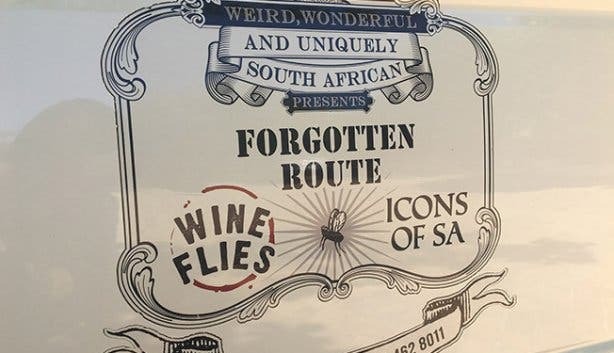 Take a unique cultural sightseeing tour and hear epic stories directly from the source, share local food and drink around a fire, experience the iconic sites and things we South Africans love with Wine Flies’ tour: What ARE (is) a South African? Some of the estates are only known to locals, while others are world famous – though Wine Flies. 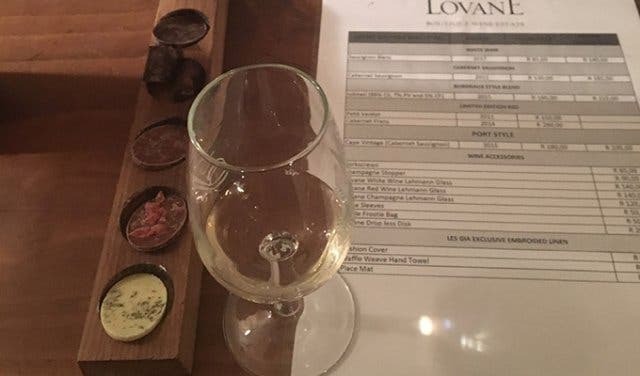 At each one, you’ll be guided through a wine tasting in a relaxed, informal style; there’s nothing pretentious about this vinous outing. Plus, a maximum of 13 people per excursion ensures an intimate experience where you won’t feel as if you’re lost in the crowd. 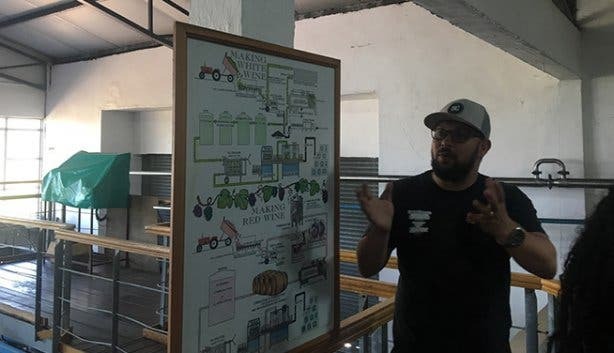 Included in each trip is a vineyard walk coupled with a cellar tour, where one of the wine lords will explain the winemaking and viticulture processes, from grape to glass. The knowledgeable guide will also engineer a day peppered with winemaking trivia and history. 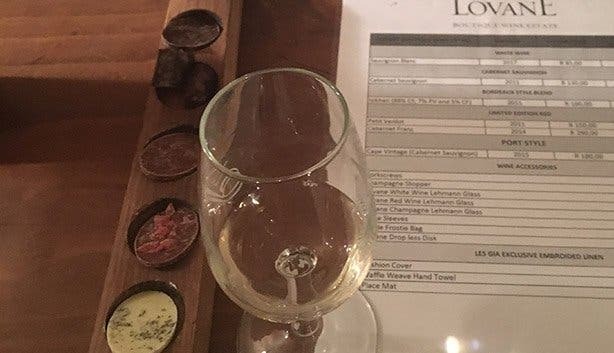 On this trip, you won’t only be learning about South Africa’s wine culture, but also its food. 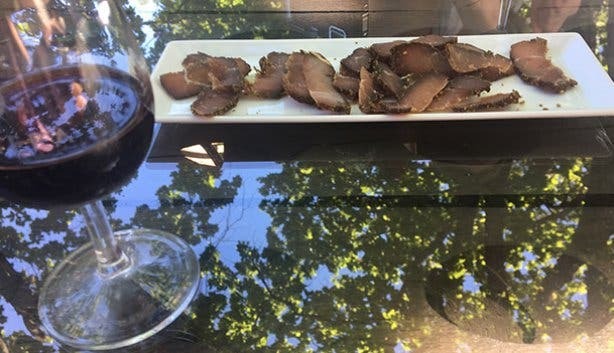 Braais and biltong quickly become the highlight as many international travellers are curious and keen to try the South African staples. 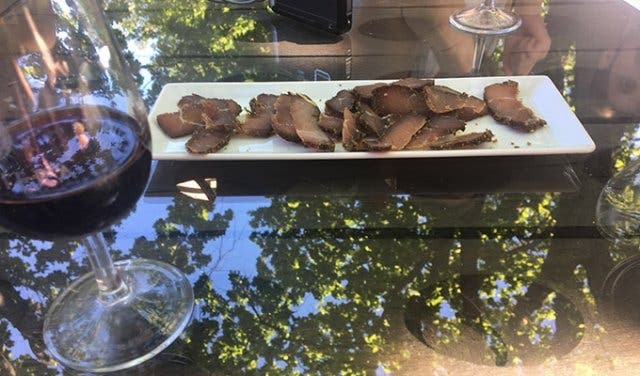 Curated choices of chocolate and biltong complement the tastings and a winelands lunch is incorporated into the day. 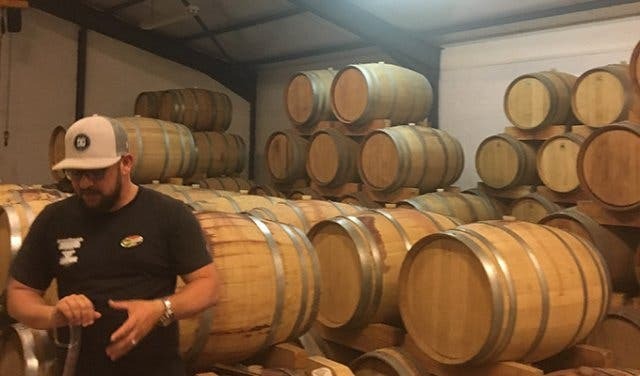 Wine Flies promises a behind-the-scenes look into South Africa’s wine culture: “You get to meet the winemakers, share stories with them and experience the true culture of living in one of the most renowned wine regions of the world”. 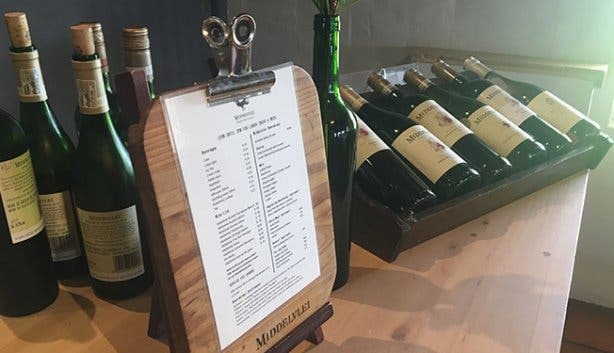 Offering great value, scheduled tours and private tours are R880 per person, and this includes all tastings, pairings, lunch as well as a full day’s entertainment. To book, contact Wine Flies on +27 (0)21 462 8011, via email info@wineflies.co.za, or book online.